July 29th at Conway Middle School Gym. WHAT DO I BRING TO FITTING DAY? WHAT FORMS SHOULD I BRING? A current 2019 Physical Form (dated after January 1st, 2019) will be due no later than July 15th and are required to participate in conditioning. Sports physicals are provided by Dr. Koch’s – Essential Mind and Body located at 415 E Michigan St, 32806, 407-423-1616. The cost is $20 and all proceeds received by Dr. Koch are then donated back to our program. A FINAL report card, with all four marking periods, stamped by the school will be due no later than July 15th. WHAT SHOULD I WEAR TO FITTING DAY? WHAT DO I NEED TO KNOW ABOUT PRACTICE? 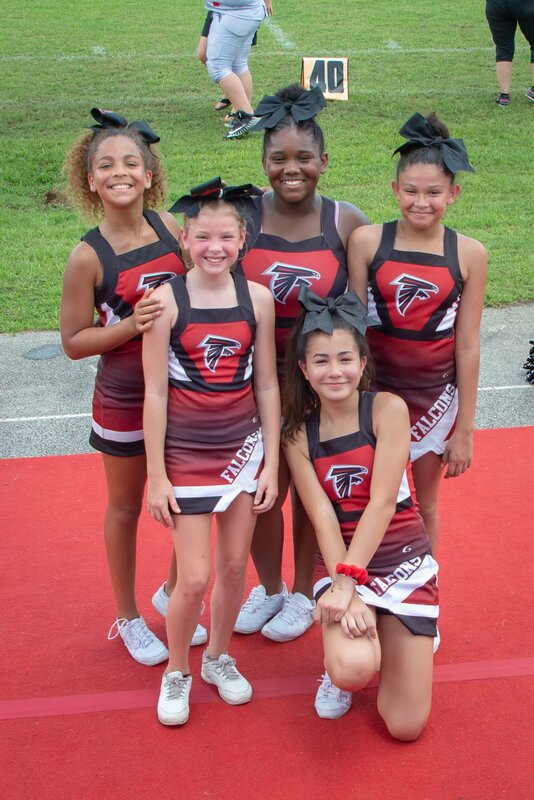 Weekly practices are held at Conway Middle School located at 4600 Anderson Rd, Orlando 32812 on the back fields and under the covered areas as needed. 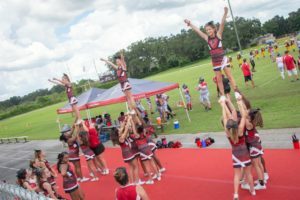 There is a minimum of two practices per week throughout the season and additional practices as needed a few weeks prior to competitions. 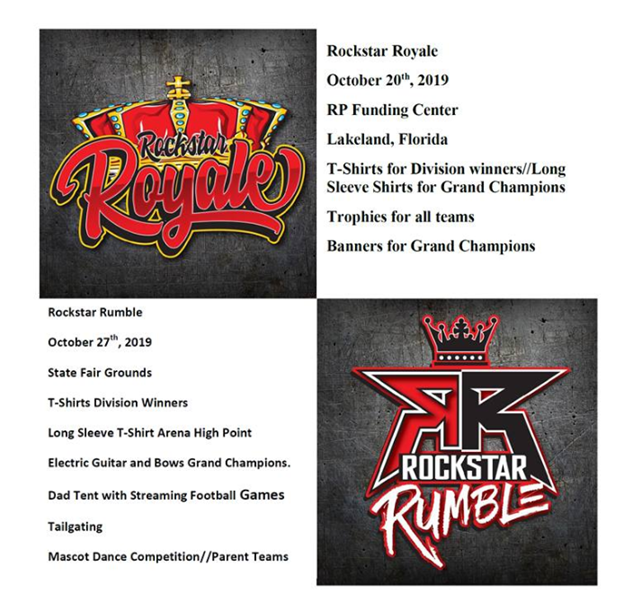 After the time change, practices will be held at the Dover Shores Community Center located at 1400 Gaston Foster Rd, Orlando 32812 out next to the baseball fields and under the covered areas as needed. Conway Middle School Campus does not allow plastic water bottles, so please bring sports bottles only. Half gallon jugs filled with water only are encouraged. In general practices can be held at the discretion of the coaching staff, however a typical schedule would be as follows: 8U/MM, 10U/PW, 12U/JV & 14U/V practice on Mondays and Thursdays starting at 6:00PM. If you choose to drop off your child, please be available via phone, as practices may need to be cancelled due to unforeseen weather. WHAT DO I NEED TO KNOW ABOUT GAMES? There are typically 4-5 home games usually played at Boone High School or Oakridge High School. We travel for 3-4 away games. 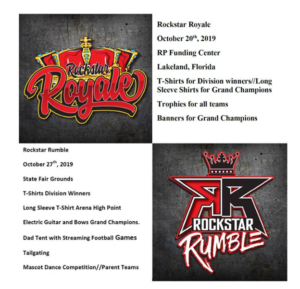 The schedule will be posted on the website and provided to the parents as soon as it is available. Some areas for away games typically include East Orlando, Apopka, Kissimmee, and Lakeland. Is there an entry fee for weekly games? Yes. Anyone not rostered in the team book. Adults are $4 and Children are $3 (typically cash only). Season Passes are available for both individuals and families. These passes cover home games only. WHAT DO I NEED TO KNOW ABOUT COMPETITION? 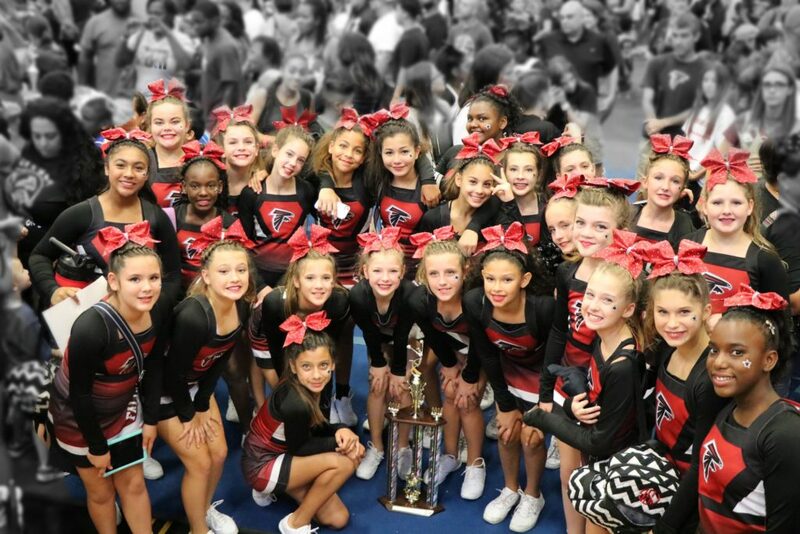 We typically choose 3-4 competitions per season. See important dates for more information. Athletes are expected to come with clean shoes and full uniform including competition tops. All competitions have entrance fees which vary based on the location. Typical fees run between $5-$10 for adults. We encourage you to bring cash as many are cash only. Athletes may meet as a group a few hours prior to competitions to prepare hair and makeup as a team. Send your child with a snack and water. Athletes stay together as a team and warm up prior to performance.